We're excited to share what's in store this month! Enjoy these articles and special offers. Welcome to your news and offers from Subaru of Jacksonville! 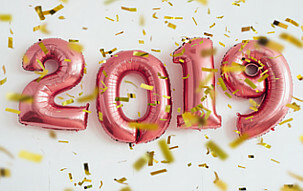 It's a new year, and we're kicking off 2019 with some exciting deals and articles, created especially for you. We're so grateful for your business, your friendship and your continued support. If you're ready to see what we've prepared for you, please jump right in and click away! Happy New Year to our Subaru of Jacksonville family! At Subaru of Jacksonville, our new year’s resolution remains the same: to make sure you have the best experience with us possible and to give back to our community. These commitments are what drive us to try and be better every year. Learn more about what you can expect from us here. With each new year comes a desire for change. And while most New Year’s resolutions address personal growth, it’s important to extend that TLC to your vehicle! 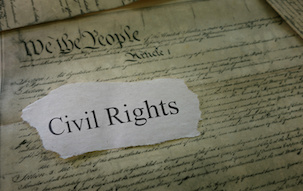 Civil rights history is at the heart of what our country is today. Luckily, there are several locations right here in our region that honor that history! 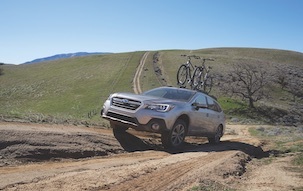 The Outback takes on the road less traveled thanks to Subaru Symmetrical All-Wheel Drive and other rugged features. Watch this video to find out what our Factory Trained Teams do to inspect your Subaru vehicle's brakes. Subaru, SUBARU BOXER, BRZ, Crosstrek, EyeSight, Forester, Impreza, Legacy, Lineartronic, Outback, STI and WRX are registered trademarks. Must be 18 years or older and have valid driver's license and proof of insurance for a test-drive. 1Manufacturer-estimated highway fuel economy for 2019 Subaru Forester models. Actual mileage may vary. 2EyeSight is a driver-assist system that may not operate optimally under all driving conditions. The driver is always responsible for safe and attentive driving. System effectiveness depends on many factors, such as vehicle maintenance, weather, and road conditions. See your owner’s manual for complete details on system operation and limitations. 3Compatible smartphone and application required. For applications to operate, latest version of each application and optional integrated audio and navigation system unit required. Data provided by smartphone is displayed on navigation screen. Some state laws prohibit the operation of handheld electronic devices while operating a vehicle. Smartphone apps should only be launched when vehicle is safely parked. Your wireless carrier’s rates may apply. 4EPA-estimated hwy fuel economy for 2019 Subaru Outback 2.5i models. Actual mileage may vary.